Municipal Bell Joint Leak Clamps for CI and DI Pipe Size can be used on certain types of CIP and DIP along with C900 PVC Pipe. 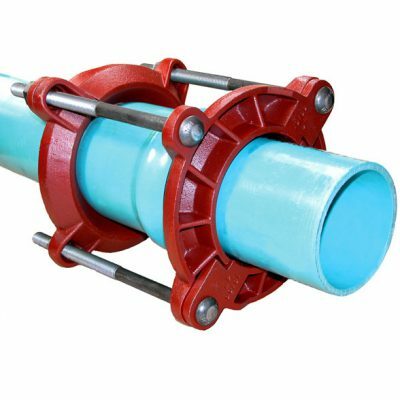 For quick repair or water tight joint assurance for rubber joint PVC pipe, solvent weld pipe or coupled pipe use Bell Joint Leak Clamps for IPS (Iron Pipe Size) PVC. These clamps are engineered to provide a simple, dependable repair or assured joint.